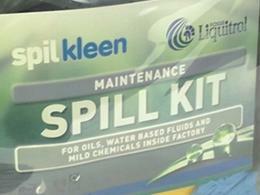 What is the purpose of the 50 litre maintenance spill kit? This 50 litre maintenance spill kit from The Workplace Depot contains everything you could need to effectively and quickly clean up and dispose of liquid spills. The absorbents contained in the kits are an ideal choice for everyday maintenance, repair and even general operations. They will keep your workplace safe and work to absorb a range of different liquids, including water, oils, fuels and coolants. 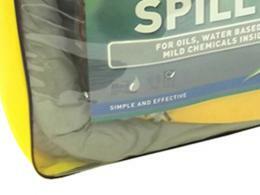 Where can a 50 litre spill maintenance kit be used? The absorbents in the spill maintenance kit are lint-free and commonly found in manufacturing, engineering and construction industries and anywhere where there is heavy-duty machinery. 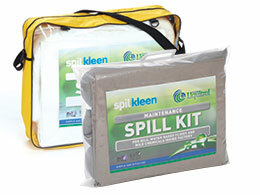 Who might use a 50 litre maintenance spill kit? This kit is designed to absorb hydrocarbons, cutting fluids, coolants, water and mild solvents and the compact size makes it a good choice for areas where there is restricted storage, or for use in trucks, forklift and vans. Get your kit in 5-7 working days and free delivery when you order from The Workplace Depot. 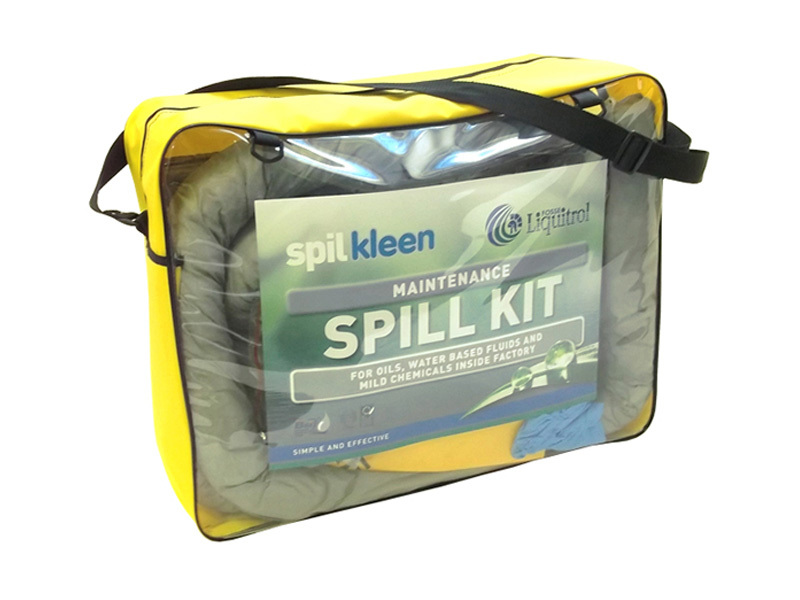 The 50 litre maintenance spill kit is ideal for industrial spills, including water and oil based liquids, coolants, mild chemicals and solvents. The kit comes in a strong bag with carrying straps and contains 25 pads and 2 x 3m absorbent socks. There is also 1 disposal bag and tie. All products from The Workplace Depot come with a one-year parts and labour warranty and a Price Promise to match any price. We also have an easy exchange/returns policy and accept payment with MasterCard, Maestro, Visa, Visa Debit and PayPal. If you have any questions, please talk to our sales team, or select your quantity and place your order today!